Geoffrey Roberts was born in Deptford, south London in 1952. His father worked as a labourer at the local power station and his mother as a cleaner and tea lady. A pupil of Addey & Stanhope Grammar School he left aged 16 and started his working life as a clerk with the Greater London Council. 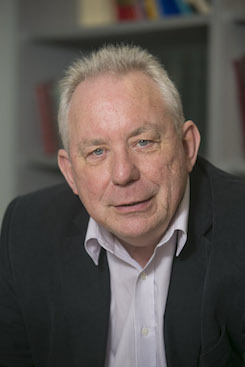 In the 1970s he was an International Relations undergraduate at North Staffordshire Polytechnic and postgraduate research student at the London School of Economics. In the 1980s he worked in the Education Department of NALGO, the public sector trade union. 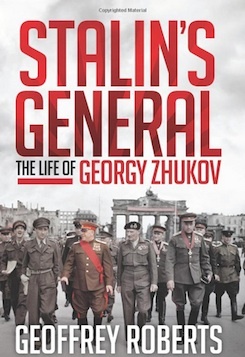 Geoffrey returned to academic life in the 1990s following the publication of his acclaimed first book, The Unholy Alliance: Stalin’s Pact with Hitler (1989). Many books and articles followed: The Soviet Union and the Origins of the Second World War (1995); The Soviet Union in World Politics, 1945-1991 (1998); and Victory at Stalingrad: The Battle That Changed History (2002). 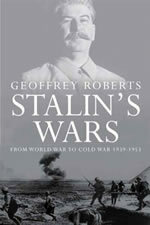 In 2006 Yale University Press published his Stalin’s Wars: From World War to Cold War, 1939-1953. Professor Roberts is a fellow of the Royal Historical Society and teaches History and International Relations at University College Cork, Ireland. He has won many academic awards and prizes, including a Fulbright Scholarship to Harvard University and a Government of Ireland Senior Research Fellowship. He is a regular commentator on history and current affairs for British and Irish newspapers and a contributor to the History News Service, which syndicates articles to American media outlets. He has many radio and TV appearances to his credit and has acted as historical consultant for documentary series such as Simon Berthon’s highly praised Warlords, broadcast in 2005. Andrew was recommended to me by a publisher who thought that his agency would match my ambition to produce popular history of the highest scholarly standards. I’m one of those authors that Andrew specializes in – well-established, mid-career, a number of books published - who want to make the transition to a higher level of recognition and income. Thanks to Andrew that has already happened. Roger Crowley’s Conquerors: How Portugal Seized the Indian Ocean and Forged the First Global Empire to Brazil. Piu Eatwell’s book on the French They Eat Horses, Don’t They to China. Geoff Roberts’ Stalin’s General to Romania. Chris Woodford’s Atoms Under the Floorboards: The Secret Science Hidden in Your Home to Poland.